This is an overheating solution that sprays a mist of water onto the front of the radiator and can reduce a vehicle’s temperature 20 degrees in a matter of minutes. This is a must for towing or heavy loaded vehicles, diesel powered motor homes or extreme off road vehicles operating during summer heat conditions. 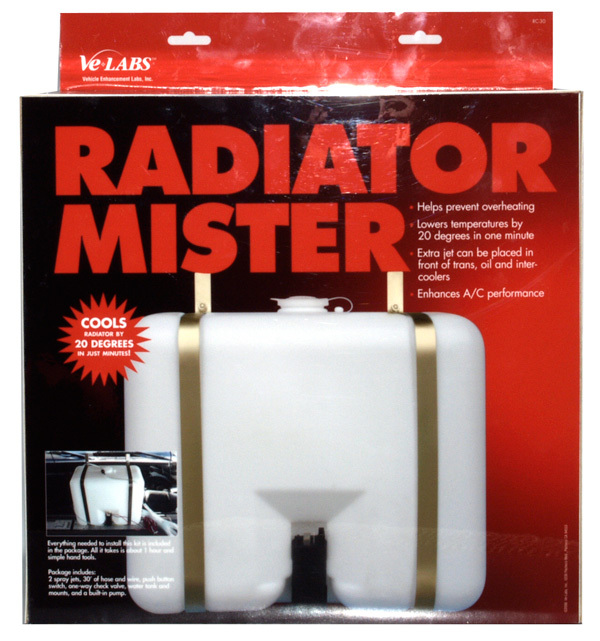 Radiator Mister includes 2 special spray jets with mounts, 2 gallon reservoir, one way flow valve, push button switch, 30’ of wire and hose for mounting.